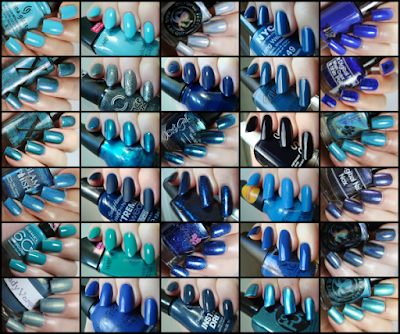 Happiness is blue polish. That's all I have to say. To view the full Blue archive, click here or on the collage below. I am loving these compilations!